All she wanted was to escape. But why does she still feel trapped. A gripping psychological drama by the author of Mothers and Daughters and Into My Arms. Four months later, long after the police and the SES have called off the search, Charlie is found wandering injured and filthy, miles from where she was last seen. Her family rejoice in her return, but can anyone truly recover from what Charlie’s been through? When a life has been shattered, how do you put the pieces back together? Thirteen year old Charlie Johnson had a happy and contented life – her mum Rachael worked full-time in a job she loved; dad Matt was a fireman and her older brother Dan was in high school and loved music. Charlie loved her horse Tic Tac – though technically he wasn’t her horse, having been leased from the pony club where Charlie spent a lot of her time, but Ticcy was hers. The Saturday that Charlie and her friend Ivy went for their usual ride through the National Park after pony club was the day everything changed. When Ivy returned to say Tic Tac was lame and Charlie was walking him back, Hannah immediately mounted her horse and set out to meet Charlie. But neither of them could be found – and when Tic Tac returned days later, limping and dishevelled but without Charlie, they knew something was dreadfully wrong. The day Charlie staggered from the bush, filthy, injured and incoherent, everyone was ecstatic – her family was over the moon, the police thrilled with the outcome. But could Charlie be the same girl she was four months prior? Would anything ever be the same again? And what had happened to Charlie in the time she was missing? 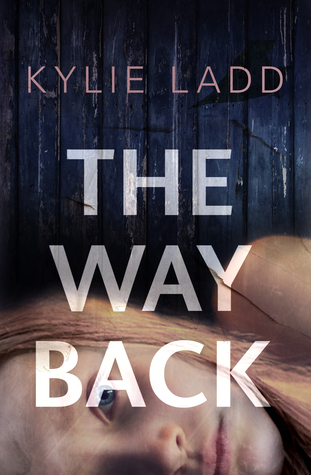 What a brilliant, breathtaking psychological thriller Aussie author Kylie Ladd has produced with her latest, The Way Back! Emotional, heartbreaking, tear-jerking and above all, outstanding, this novel ticks all the boxes. I have no hesitation in recommending The Way Back extremely highly! 5 stars! With thanks to Allen & Unwin for my ARC to read and review. This entry was posted in Book supplied by publisher or author for review, Contemporary Fiction, Guest Reviewer, Post Script: Book Reviews, Psychological Thriller and tagged #Aussie Author, 5 star read, missing child, realtionships. Bookmark the permalink.